which became Freescale Semiconductor who has plants in Chandler and Tempe, Arizona. MOS 5, MOS 6 and the Bipolar Manufacturing Center (BMC). 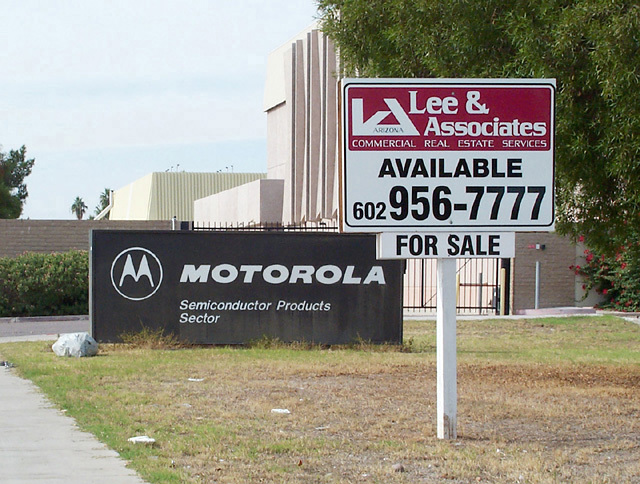 The plant, located at Broadway and Dobson in Mesa Arizona was sold. Demolition of this facility is complete. removed the SPS sign - poor planning as usual.